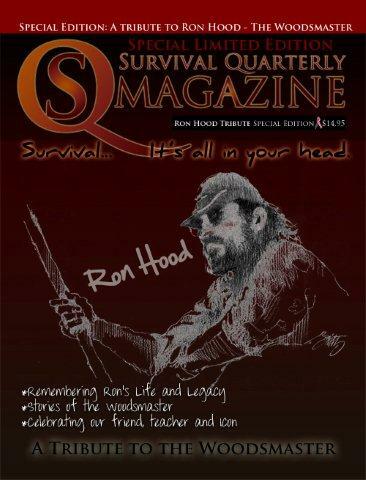 Special Limited Edition of Survival Quarterly Magazine - IN STOCK NOW!! Help celebrate Ron's life and legacy. Read stories from Ron's life from Karen, Jesse, Family members and friends and other professionals in the industry. You will get a glimpse into Ron's world. This Tribute Issue will allow you to see what a truly unique and inspiring person Ron was. This issue is NOT included in any subscriptions. If we owe you any issues to fulfill your subscriptions - you will receive our next issue #5 around Feb 2012.